Teamsters Local 727 has filed an unfair labor practice charge against Osco because the company still refuses to provide relevant information about its health and welfare plan. 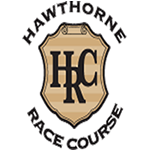 Teamsters Local 727 representatives secured new one-year contracts for program sellers at Hawthorne Racecourse and Hawthorne-Corliss OTB. Applications are being accepted now for scholarships offered through the Chicago Chapter of the Teamsters National Black Caucus. Scholarships are available to all dependent children of any member in good standing of the TNBC Chicago Chapter. Applications are being accepted until April 9, 2016. Teamsters Local 727 has begun the process of fairly recalculating union dues rates for commissioned beverage members based on their 2015 earnings. “Routes change and the economy fluctuates, so this is the only way to ensure fairness for our members,” said John Coli Jr., President of Local 727. More than 100 Teamster delegates representing 27 local unions across Illinois and northwest Indiana unanimously re-elected the executive board of Teamsters Joint Council 25. In a meeting of delegates on Nov. 3, 2015, President John T. Coli praised the unity and perseverance of Joint Council 25.